Prepare for the TOEFL® ITP test with real practice tests from ETS. This book will help you know what to expect when you take an ITP test and identify areas where you need improvement. 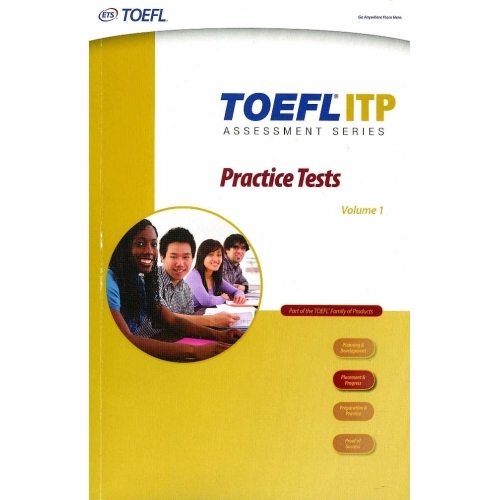 TOEFL ITP tests are used by institutions to identify students’ current levels of proficiency, to evaluate progress at the end of a course, for placement in a program of study, for screening for scholarship programs, or to complete a graduation requirement. All questions are multiple-choice, and each practice test takes about 2 hours.